Should You Invest in a Vacuum Sealer? Storing food in the freezer is a quick and easy way to keep it for later. You can prevent yourself from worrying about what to make for dinner. Even better, raw foods can be protected from freezer burn if you decide to seal them before tossing them into the freezer. Vacuum sealers are incredibly convenient, but because of the price tag, people will often wonder if they should invest in one. Here are three reasons why you should invest in a vacuum sealer. Air and moisture in a concealed space are what causes a lot of problems with foods getting spoiled. For example, foods stored in the freezer with open spaces in the packaging tend to get freezer burn faster than foods that are sealed with little to no air. A vacuum sealer takes out all the air for your food and gives it an extra layer of protection. So not only can your food be stored longer, but it will maintain its freshness for a long time too. This is great if you want to buy in bulk, and store food for long periods of time for future use. Perfect for those who cook at home a lot. Vacuum sealers can help keep your raw ingredients fresh much longer than traditional bags. Having access to a vacuum sealer also opens up a whole new world of cooking possibilities. Cooking food inside a sealed environment, like a vacuum sealed package, can get you results that you can’t achieve through any other method of cooking. Since the food is sealed off, it retains all of the natural juices instead of drying out like it would with other cooking methods. Additionally, the sealed environment spreads heat evenly allowing your food to cook perfectly from end-to-end instead of the edges being overcooked while the middle can remain undercooked. Own a crockpot? Do you like to cook a lot? Do a lot of meal prepping? No matter how you use your kitchen, vacuum sealers make it easier to plan meals. You can store whole meals in vacuum sealer bags. If you’re thinking of making a crockpot soup later, why not place the meat and veggies in one bag? Seal it, and toss into the freezer or fridge until you’re ready to make it later. Not only does planning meals become more convenient, but it’s perfect for those days you don’t feel like cooking. What could be better? 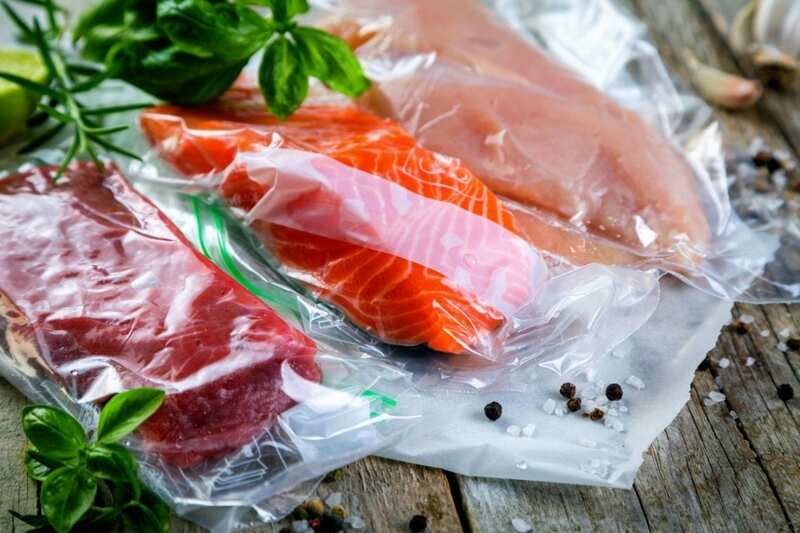 Vacuum sealers are a great option for meal prepping as you can prepare all of the ingredients once and then hold onto it in the freezer until you’re ready to cook. For anyone who has ever taken a peek at the prices for vacuum sealers, they can come with a pretty hefty price tag. Even the cheapest vacuum sealers can cost up to $300 total. However, vacuum sealers easily pay for themselves in the long run. One way they do this is to buy your food in bulk. Separating the food into separate, vacuum sealed bags helps it to last longer. Longer-lasting food means fewer chances of it spoiling and having to throw it away. Who ever feels good about throwing away food? Depending on how much you use it, a vacuum sealer can easily pay for itself five to ten times over in a year. So, is it worth it to invest in a vacuum sealer? I would say yes, it certainly is! Not only does it help your food to last longer, but it can pay for itself within a year. Vacuum sealers make it easy to plan meals, store food, and keep leftovers after an arduous cooking adventure. Vacuum sealers are excellent add-ons for anyone who owns a crockpot and is sure to make mealtimes easier by keeping foods nice and fresh.